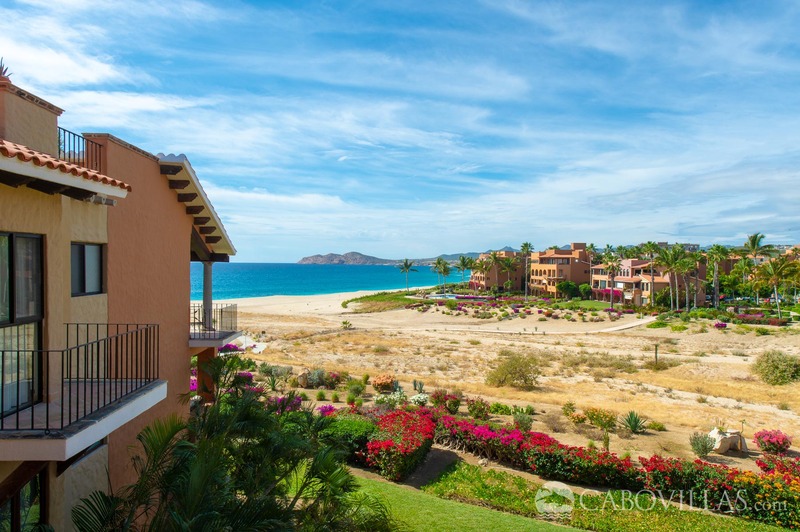 An inviting oasis of relaxation and breathtaking views of the Sea of Cortez await you at Casa del Mar Pelicano 301. 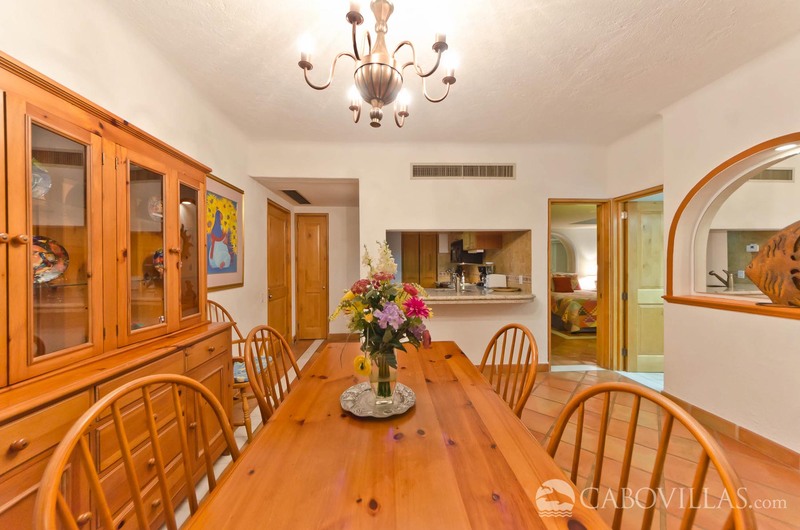 This 1-bedroom, 1-bath unit offers excellent views, plenty of comfort and charming style, with a host of great amenities to make your stay memorable. 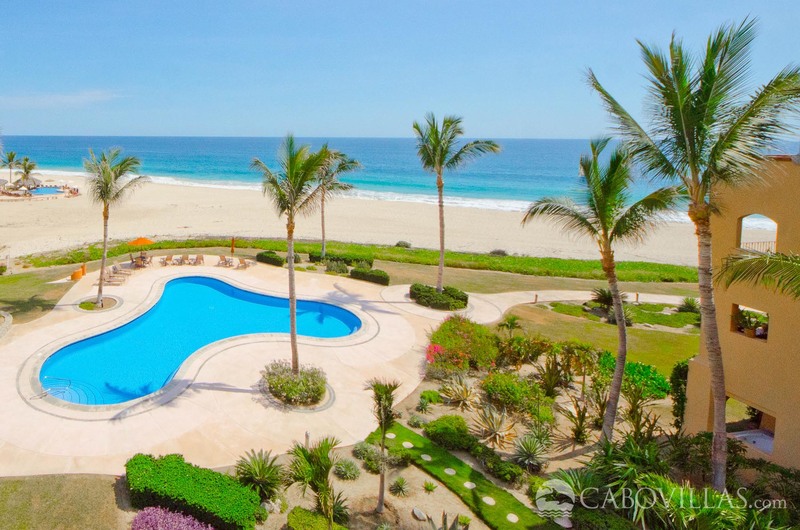 You’ll delight in the excellent location of the beachfront Casa del Mar resort, perfectly situated in the Corridor area between Cabo San Lucas and San José del Cabo. 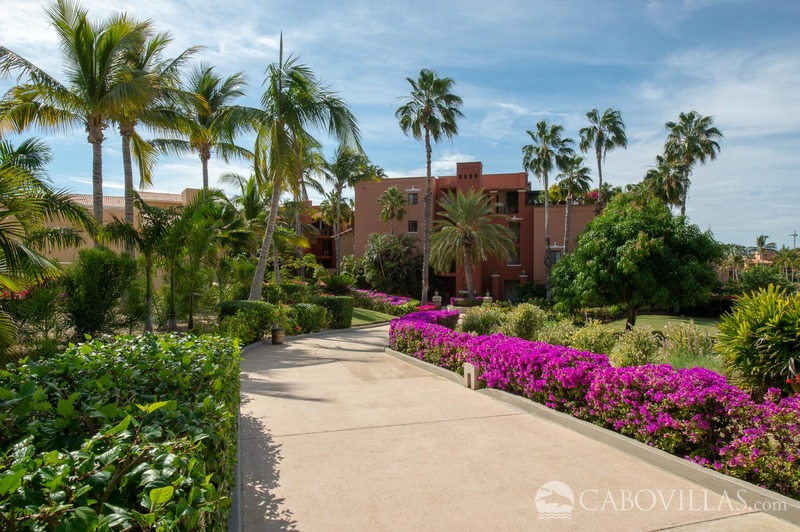 Relax around one of the sparkling swimming pools, play a round of golf at the neighboring championship course, take a long stroll on the pristine beach or enjoy a dip in your private balcony jacuzzi as you admire the stunning vistas. 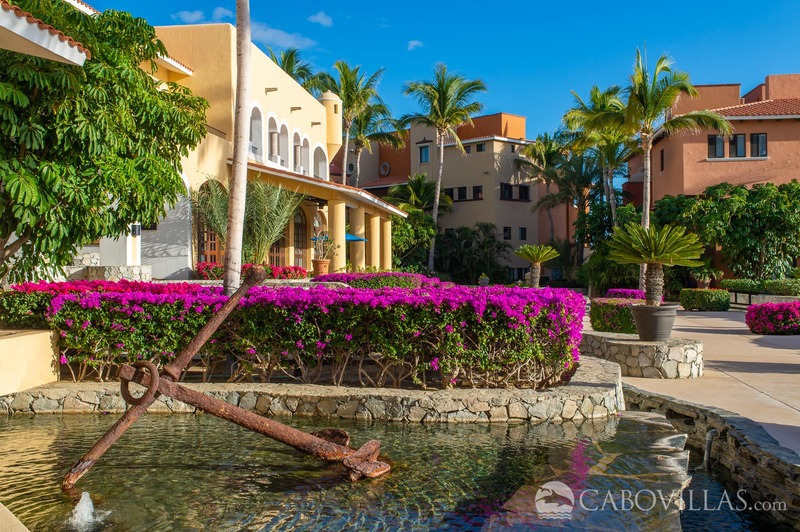 Cabo Real is another splendid Los Cabos neighborhood, distinctly associated with high-end recreational activities, with world-class golf as its focal point. The centerpieces of the 2,800-acre gated community are the classically designed Robert Trent Jones II championship course and the Jack Nicklaus-designed private El Dorado course. 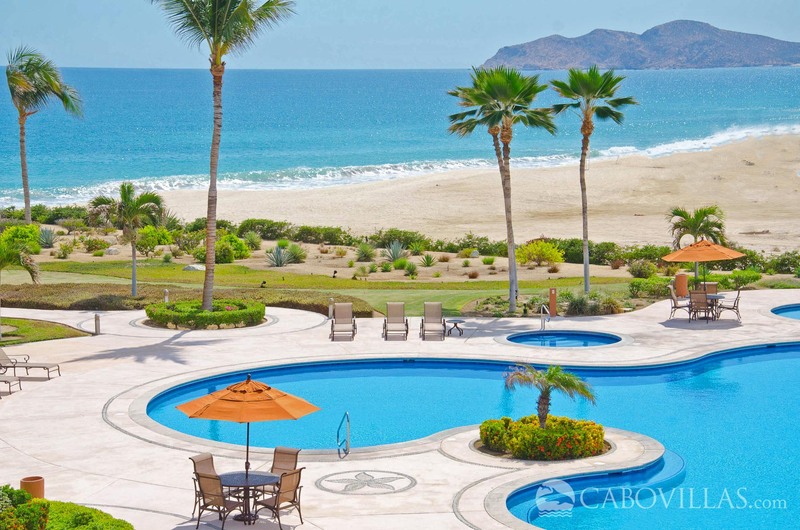 Area residents enjoy miles of secluded beaches and beautiful desert vistas, with stunning views of the Sea of Cortez to fill out those riches. 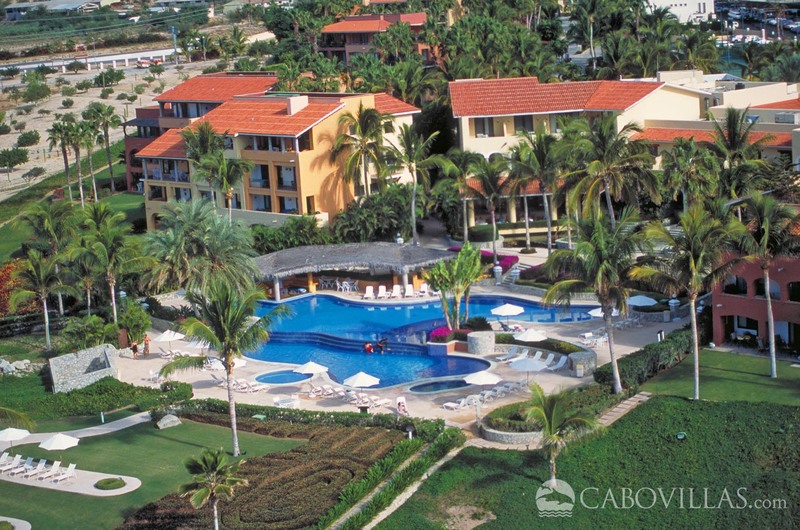 Cabo Real includes the Melia Cabo Real, Hilton, La Ventanas, Casa del Mar and Dreams Resorts. 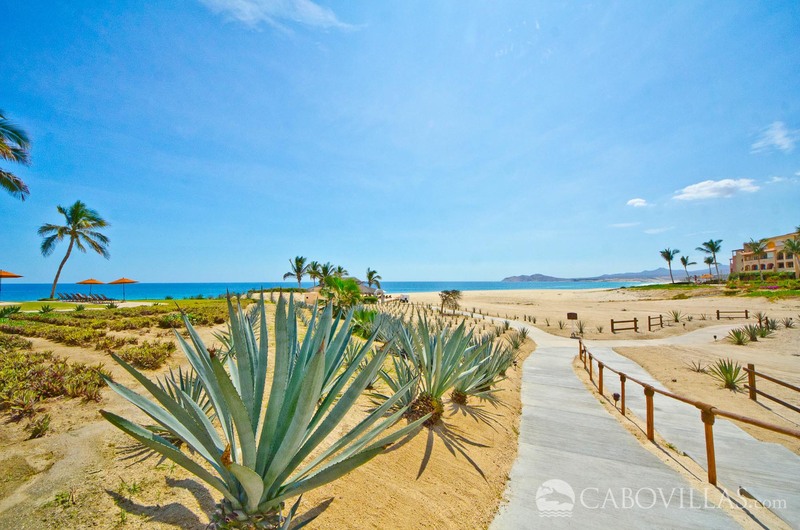 It also host to Desert Park ATV and Cuadras Horseback riding adventures within its own ecological reserve. "Great Getaway from Snow & Cold of Michigan "
We really enjoyed our stay. There was two of us in the condo so we had plenty of room. The maid service was a special treat for me!! We enjoyed making our own breakfast and being able to see the ocean as we ate. We did try the Jacuzzi one night, but the temp of water was barely warmer than body temp after heating for 2 hours and the jets were very weak. 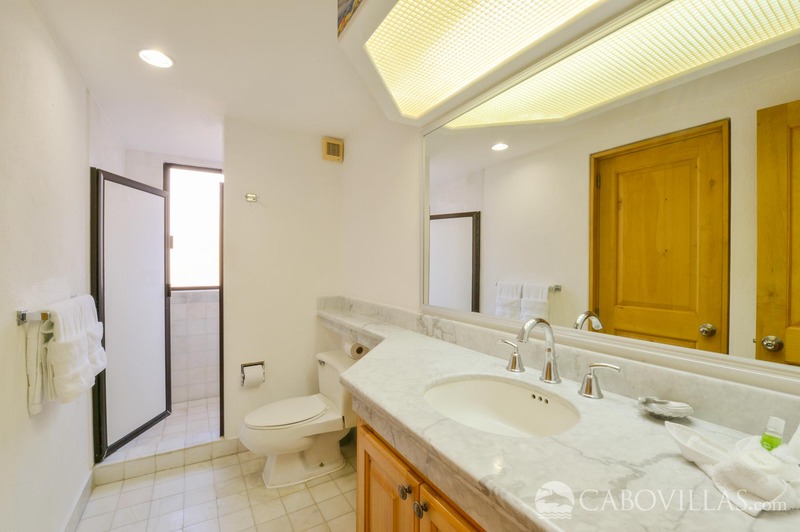 We would like to suggest removing the Jacuzzi since there are so many other hot tub options on the property. We would have enjoyed a table out on the balcony instead so that we could eat our meals outside. 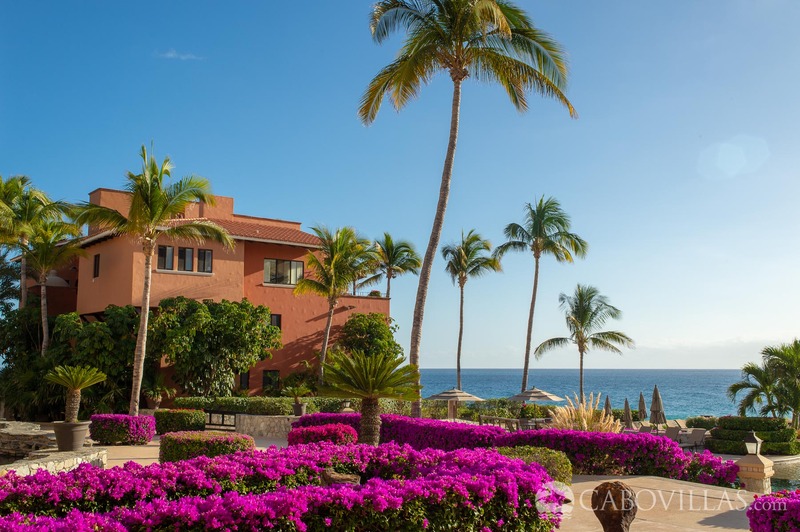 We were vacationing with another couple and had a very relaxing vacation, We enjoyed sunbathing, reading, watching for whales, hiking, zip-lining, and walks along the beach. Fantastic grocery store nearby for any items we needed. Loved the baked goods from the bakery! "Very happy with this place"
The apartment was perfect for our family. 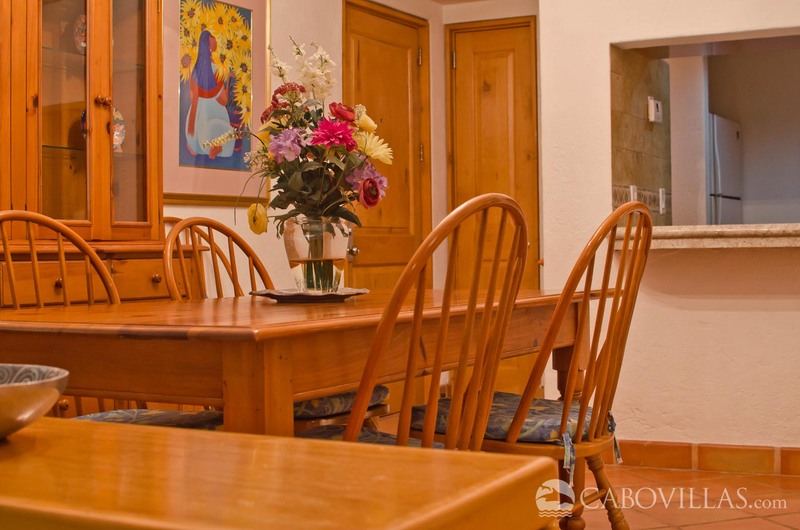 The place was clean, comfortable and we would definitely stay there again. Highly recommend. Excellent! The views are real...and relaxing. 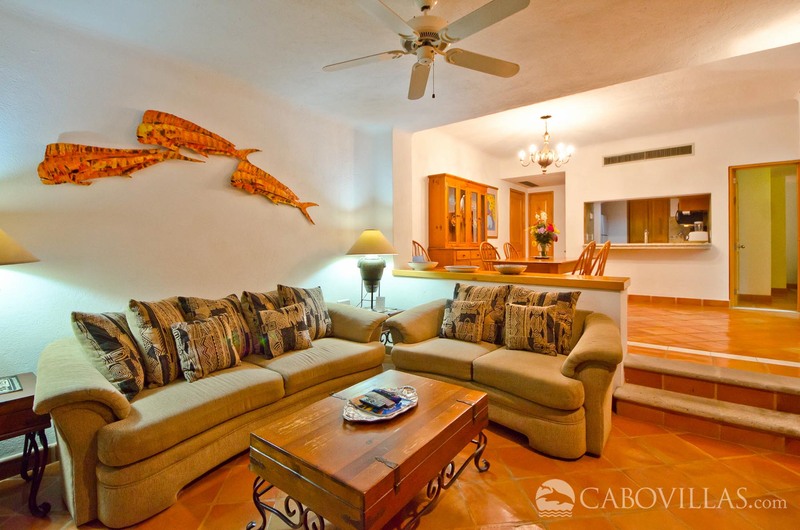 If you are looking for a quiet get-away in the Cabo area with great views and beautiful grounds, this is the place. 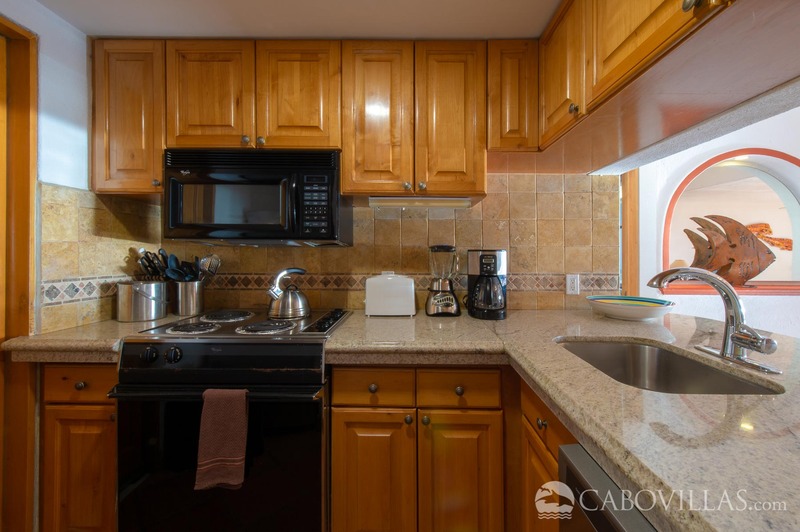 The amenities in the kitchen are everything you need for a week-long stay. The grounds are amazing and always clean - feels like a resort (just without all the people!). 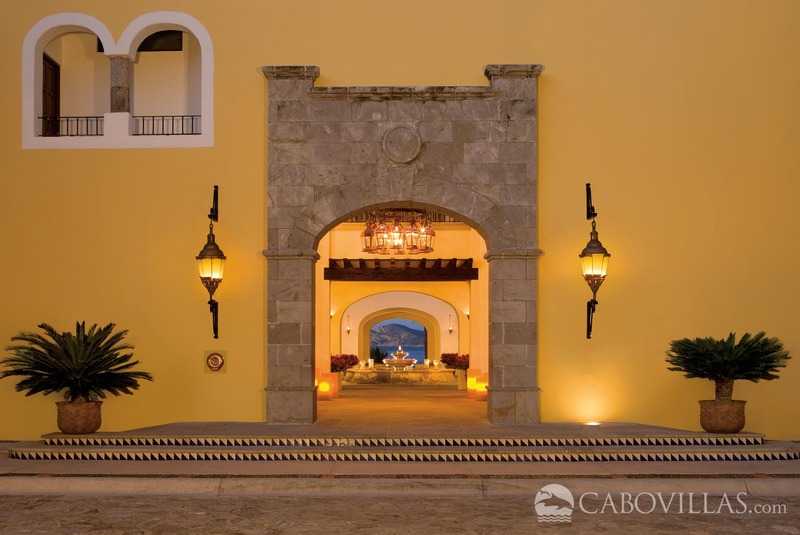 This is our third time in the Cabo area and probably the best experience we've had thus far! 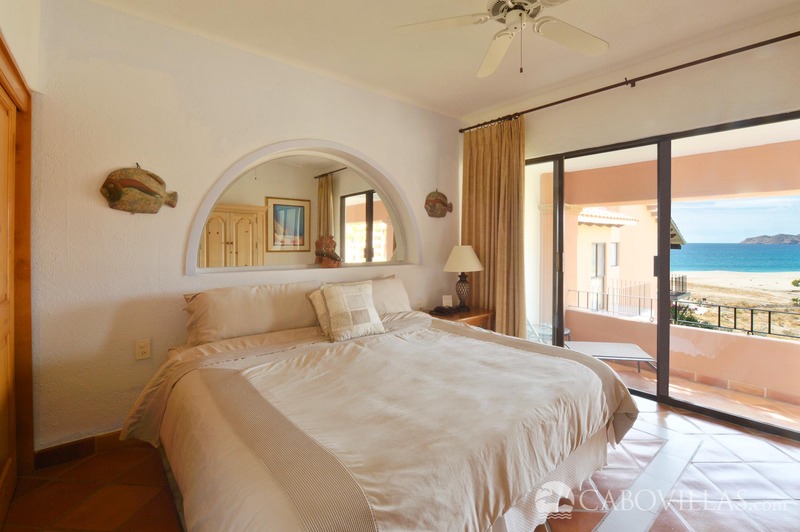 "Very nice condo in gorgeous resort; great base to explore"
The condo was as described -- beautiful view of ocean and mountains; lovely, exceptionally well-cared for tropical gardens throughout property; well-equipped condo. 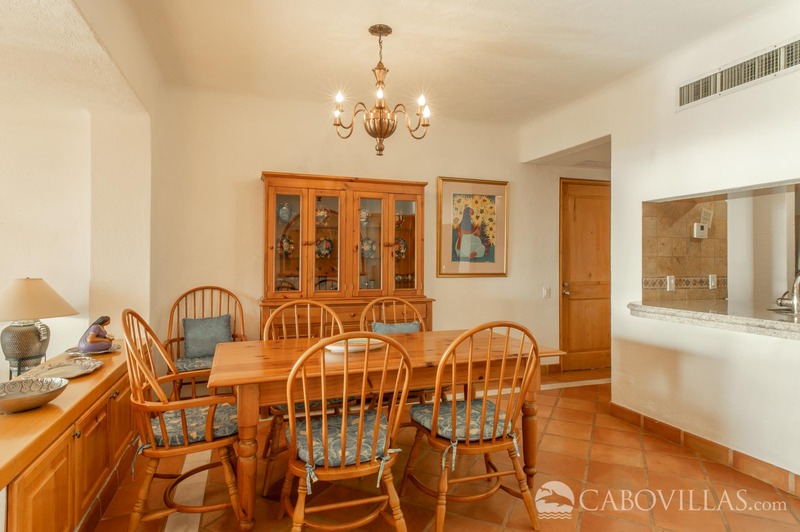 Very clean condo, friendly people, very good restaurant (and fairly priced for a resort). There weren't a lot of people there during our week so we had all this uncrowded. Excellent security as well. Don't miss the night they have the harp player in the restaurant -- it's magical! 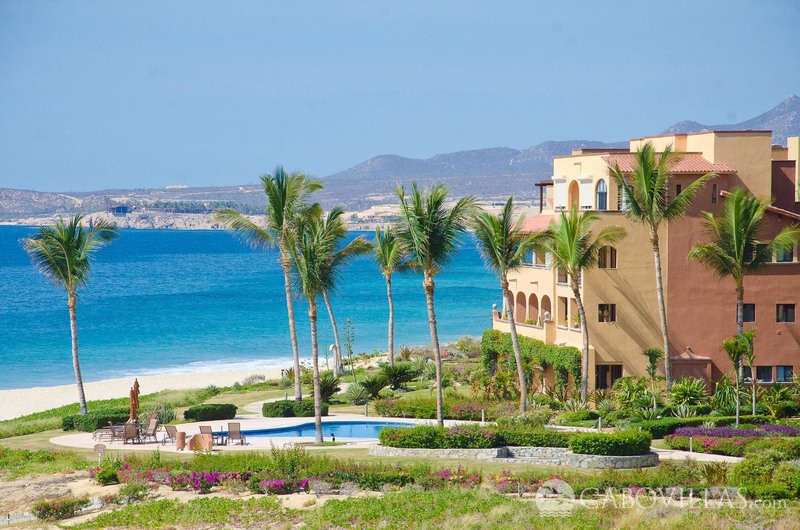 Don't bother going next door to Las Ventanas for a meal -- wildly over-priced and they're not crazy about visitors. 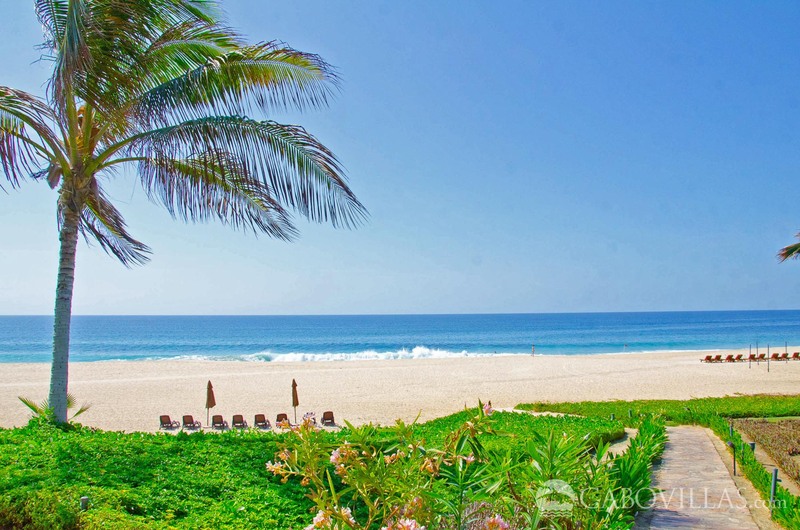 Do go into San Jose del Cabo as well as Cabo San Lucas. San Jose has a large, well-stocked supermarket on the way in from the airport. We also recommend Cactus Rentals for car rental which is local, reasonable and has great service. Driving is pretty easy because of the excellent roads but be prepared for fast drivers and aggressive lane switching. 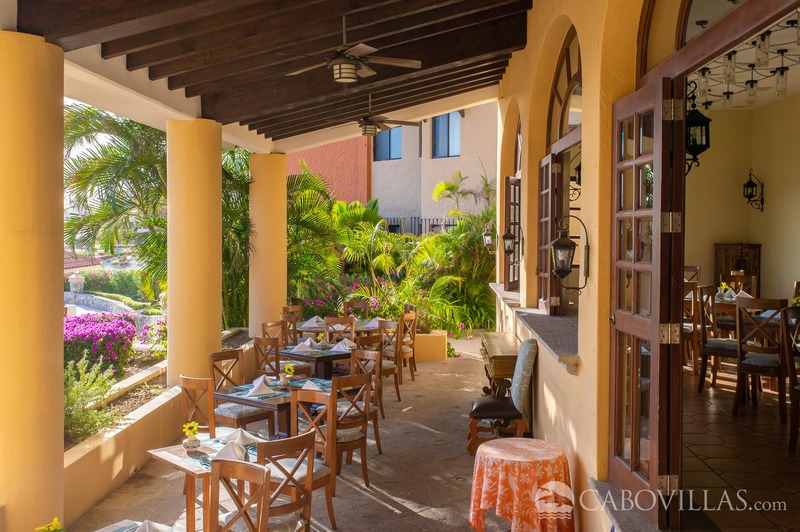 Some of our favorite places were: Guus' Tacos in downtown Cabo. It's a local open-air storefront with the best tacos al pastor we've ever had and for a little over a dollar each! Solomon's Landing on the Marina in Cabo for excellent Mexican food. Flora's Farm and Kitchen are worth a special trip. It might have been our favorite place. It's about 25 minutes from the resort, outside San Jose and you need to carefully follow their directions. Flora's is an organic farm with a farm to fork casual restaurant that is superb. If you go for dinner, take a cab as you'll be going down some dirt roads. We loved wandering around before lunch. 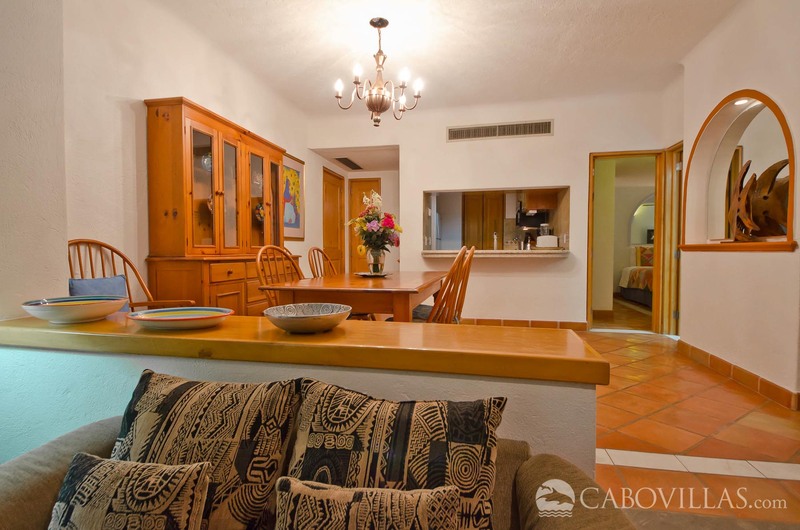 We had a lovely experience at this condo -- perfect for just being there and for exploring the area. 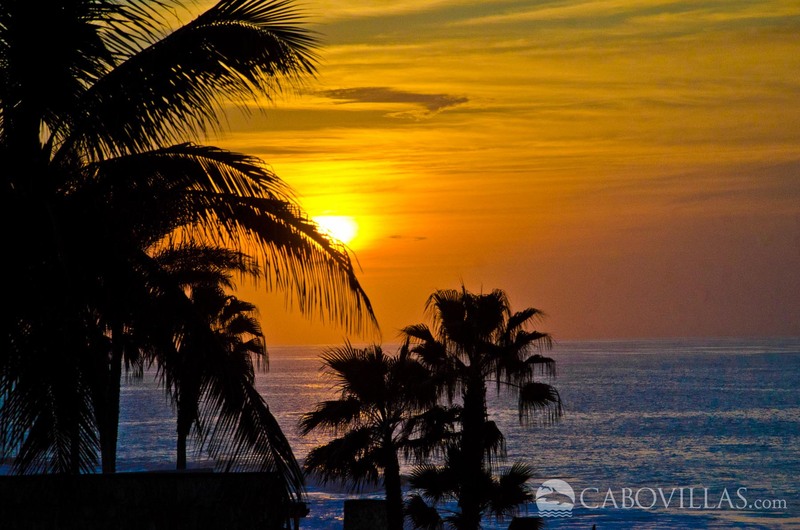 We were not sure of going to Cabo for a vacation but did and it was wonderful. 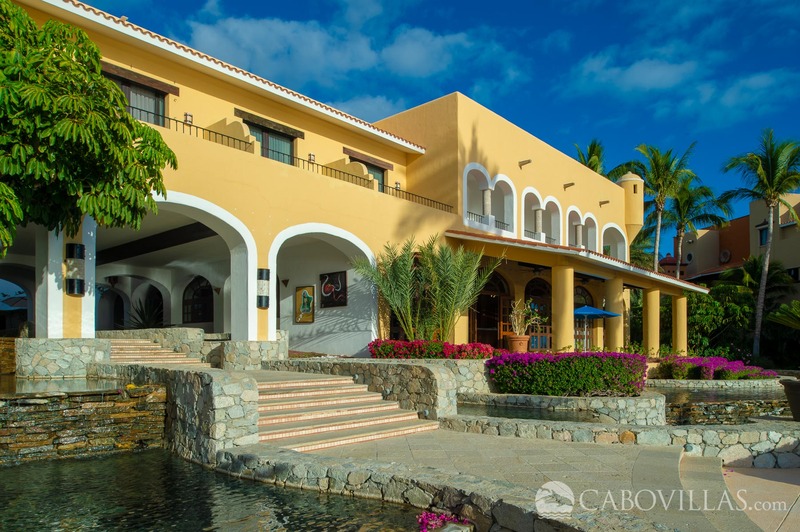 The Casa del Mar Pelicano was beautiful with a gorgeous ocean view and just steps from the beach. When we arrived there were gentlemen to help us to our condo. The bar was friendly and the bar tender even remembered our favorite drinks. The restaurant there was amazing. They even prepared our fish we caught for us. 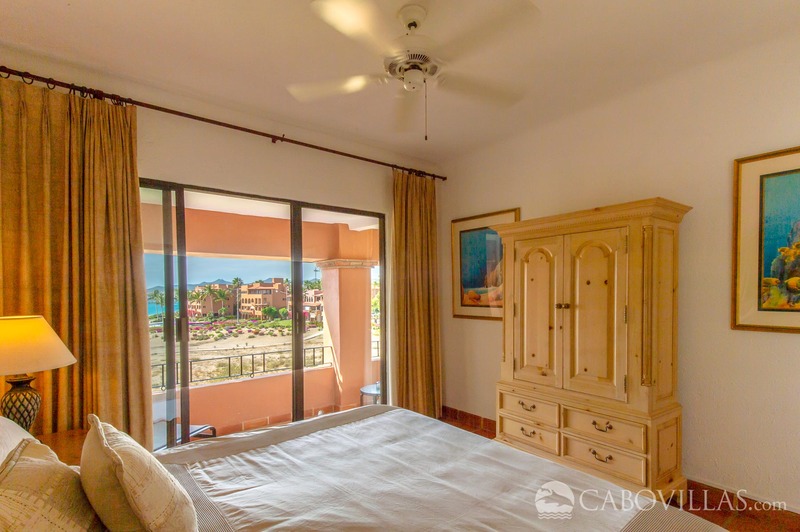 We are not partiers and so we were not sure what we would to but the condo was half way between Cabo San Lucas and San Jose del Cabo. We found San Jose was more to our liking. The art walk was fun and atmosphere more to our liking. 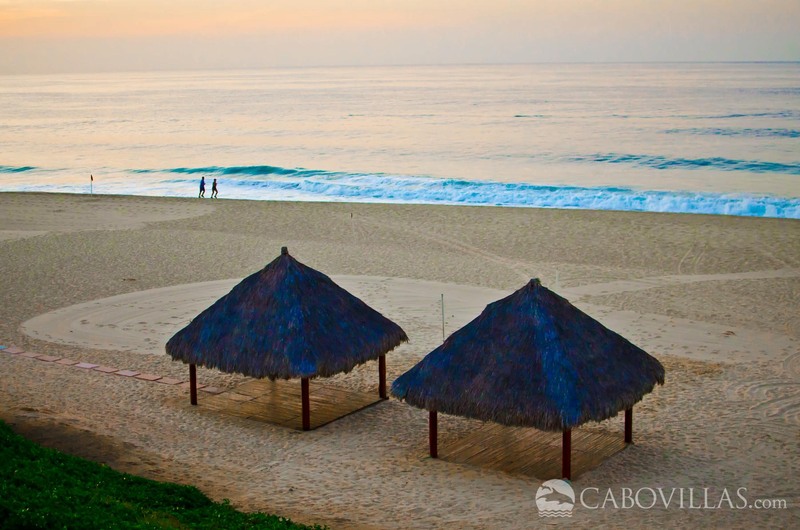 Book a resort with us now for travel by 12/31/19 and receive 2-for-1 Activites with Cabo Expeditions. Valid for travel dates: 2/26/2018 - 12/31/19. 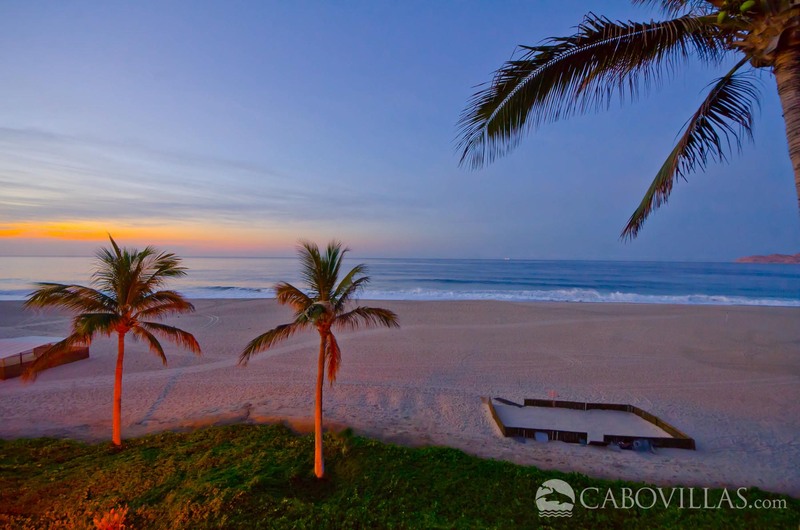 Not valid with any other Cabo Expeditions offers. Less expensive of the two tours is free.